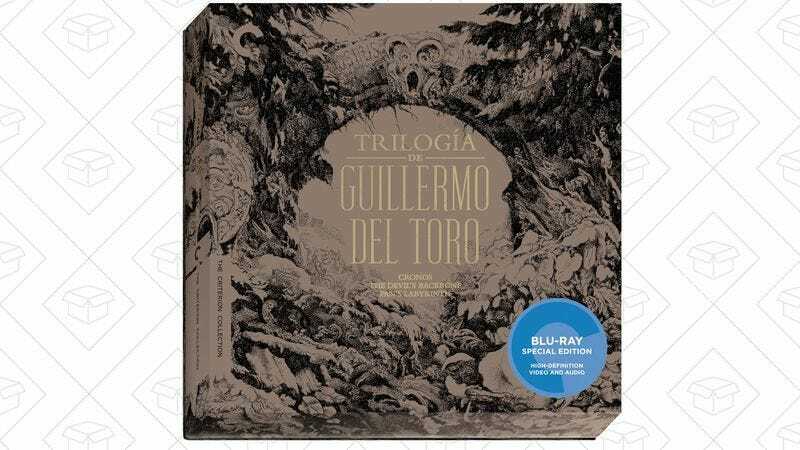 Criterion packaged three Guillermo Del Toro films (Cronos, The Devil’s Backbone, and Pan’s Labyrinth) into a single special edition box, and it can grace your shelves for an all-time low $45, today only. At $15 per month or $150 per year for up to six users, Amazon’s Music Unlimited family plan was already one of the best deals in streaming music. But for a limited time, you can use promo code TREATFAMILY for a $20 credit towards your membership. We all know Chromebooks are inexpensive, but this one’s approaching impulse buy territory. Today only, you can get a Lenovo N42 for a measly $148 on Amazon, an all-time low by $52. The specs here are pretty standard fare—4GB of RAM, 16GB of storage, Intel Celeron processor—but the 14” screen is larger than most ~$200 alternatives, even if the 1366x768 resolution is not. The best part though? It’s on the list of Chromebooks that will eventually support Android apps from Google Play. Whether you need to be better about backing up your computer, or are just so excited that the PS4 is finally adding external hard drive support, you can get a 2TB Seagate Expansion external drive for $70 today, which is about as low as 2TB drives get these days. Seagate had a spotty reputation a few years ago, but it seems like they’ve cleaned up their act; the slightly more expensive Seagate Backup Plus is the current Wirecutter recommendation, and the Expansion has a stellar Amazon review average from over 4,000 customers. Don’t be that guy that doesn’t clean up after his dog. When you can get 600 poop bags and two dispensers for $11 (or $10 with Subscribe & Save), there’s no excuse. An elevated cat is a happy cat, but don’t expect this AmazonBasics cat tree to make them love you. For the rest of Saturday’s best deals, be sure to head over to Kinja Deals.